In water quality, many of the nutrients are referred to as their ionic forms. 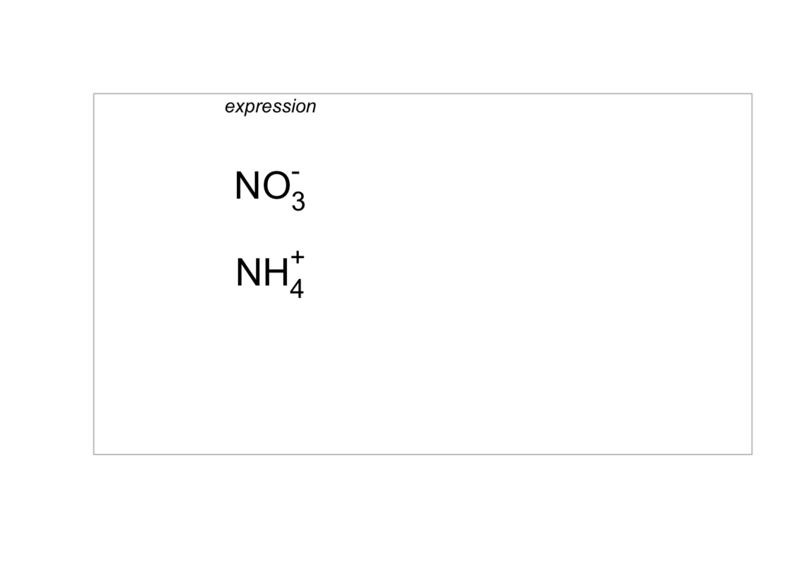 Displaying ionic formulae can be tricky in R. On can spend a lot of time and still frustrated after many hours spent on Google… We have been there and are providing here some code that works. 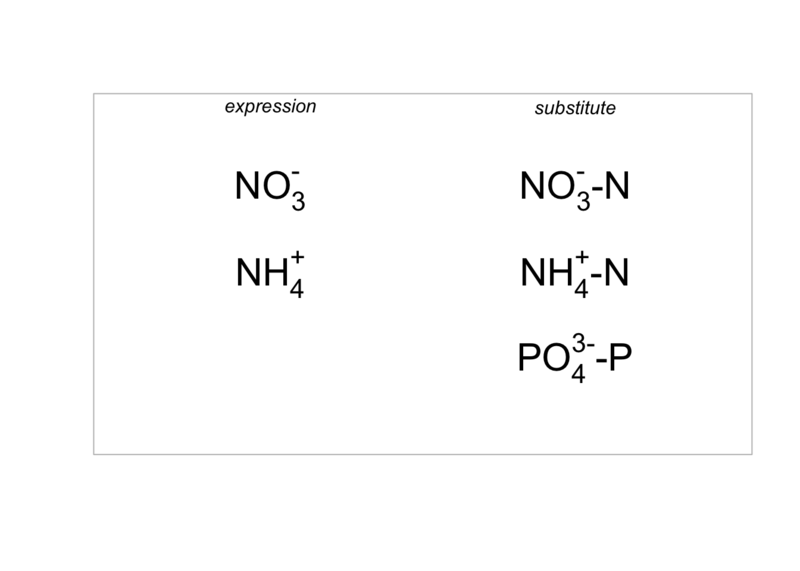 Now, there are instances when nutrient concentrations are referred to as their main atom, such as in the expression ‘nitrate as nitrogen’ or ‘phosphate as phosphorus’ where in the typography itself, one adds ‘-N’ or ‘-P’ at the end of the ionic formulae.